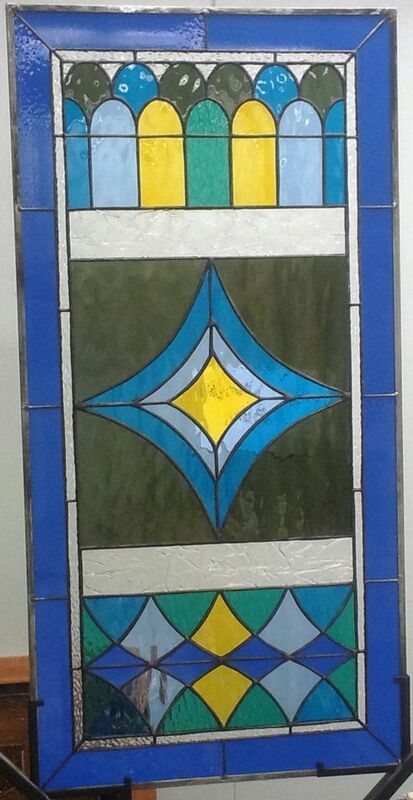 This stained glass window was a gift from our customer to her son and daughter in law. 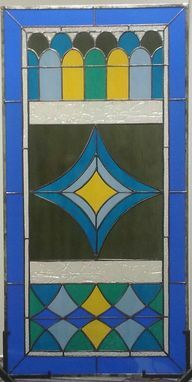 The design of the piece was provided by them. Size: 15 7/8 X 31 7/8. 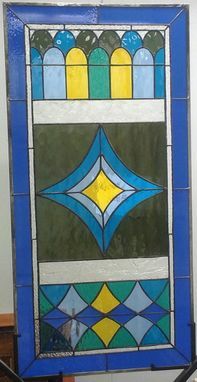 A stained glass piece is a perfect gift for your loved ones so, don't hesitate in contacting us because we'll be always happy to assist you!